O2 has decided to separate the talktime and phone costs in its new handset plan, designed to give users more flexibility. In reality, the bubbly network is now offering SIM Only deals and the chance to pay for the phone over the course of the contract. This isn't that different to how things work with the network now – consumers will still pay £37 a month for the HTC One with unlimited texts, calls and 1GB of data – but allows them to end the phone part of the contract earlier by just paying the balance of the phone, rather than having to fork out for the unused minutes as well. Of course you'll still be tied into the two year airtime contract. 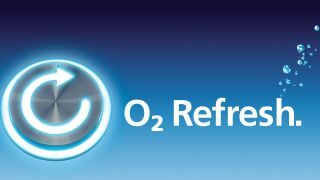 There will be three O2 Refresh talktime plans on offer, mimicking SIM only deals, so for £12 a month, customers get 600 minutes, unlimited texts and 750MB of data; for £17, customers will have unlimited minutes, unlimited texts and 1GB of data and for £22 they receive unlimited minutes, unlimited texts and 2GB of data. So the same HTC One plan would cost £17 per month on a two year deal for the talktime and data, and on top of that the user would spend £20 per month paying for the phone (with a £49.99 upfront cost). And when the iPhone 5S comes rolling out, you can pay off the balance you've got left to buy the phone from the network and upgrade whenever you like. O2 is claiming that the One would normally cost £600 to buy outright, and on this deal you'll only shell out £529.99 over the two years to own a fancy new handset. The full list of phones that you'll be able to get all 'Fresh on is: the Samsung Galaxy S3, S3 Mini, Note 2 and Ativ S, Blackberry Bold 9900 and Z10, HTC 8X and One, Sony Xperia T and Z, iPhone 4, 4S and 5, Nokia Lumia 820 and LG Nexus 4, although we don't know how much many of these will actually cost. If you're literally salivating at the thought of such a price plan, don't rush out the door just yet. Mop up that flob on the desk and wait until April 16 – you'll be able to get O2 Refresh nationwide then.